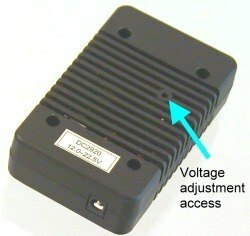 Very reliable, inexpensive switchmode, regulated DC/DC converter adjustable to various voltages. 5 Amp output. 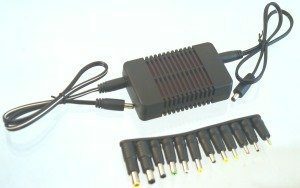 This is a single output DC/DC laptop adapter with 24V or 28V input. It uses barrel connectors for input and output. Input voltage up to 34 volts. It is adjustable by an externally accessible potentiometer between 12V and 22V as long as the input voltage is at least 0.5V higher than the output voltage. 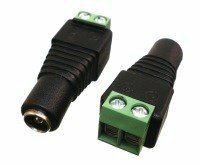 These switchmode voltage reducers can power a wide variety of DC input products from 24 volt and 28 volt trucks, wheelchairs, heavy equipment, and aircraft cigarette lighter power points. 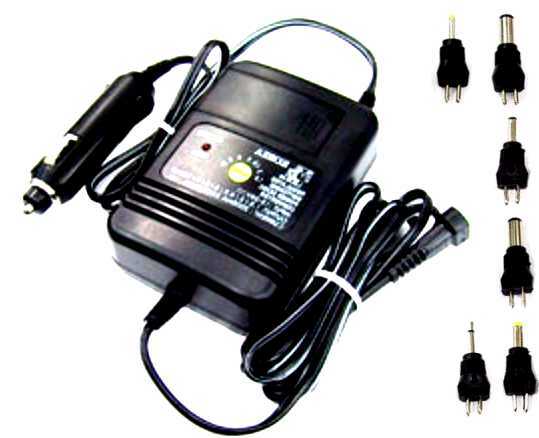 These are able to run laptops in 24V and 28V equipment, including 24V wheel chairs, or others with input voltage up to 34 volts. The PST-DC2920H DC converter works fine in either 28 volt or 24 volt vehicles. The two included cables are identical, with a 5.5x2.1mm barrel plug on one end and a 5.5x2.5 mm barrel plug on the other end. The cables are 16AWG zip cord and 20 inches long. 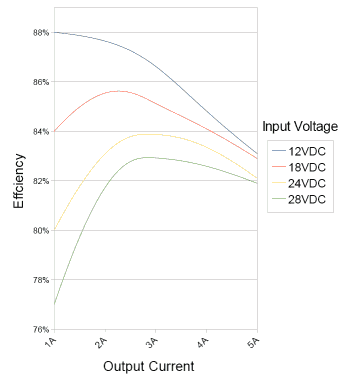 Automotive surge protection Withstands the standard 80 volt load dump test. This plug adapters are included. They fit on the output cable only.